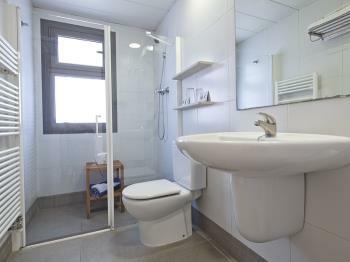 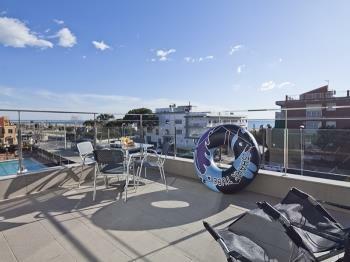 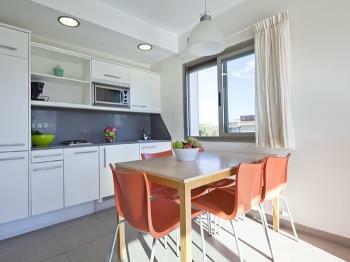 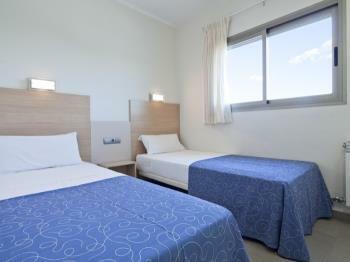 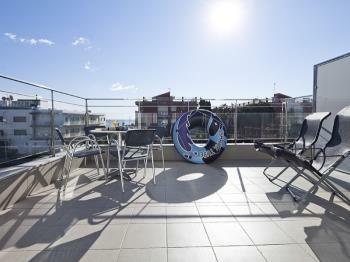 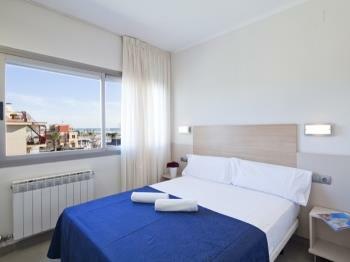 Castellmar Building: The two bedroom apartment holds from 2 to 6 people. Placed on the 2nd floor, it has two bedrooms, a bathroom with a bathtube and hairdryer, lounge/dining area with a folding bed and a big terrace with sea views. 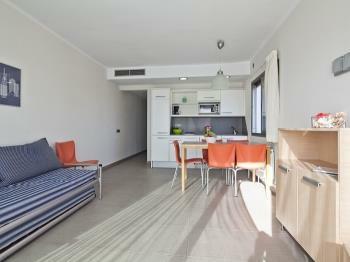 Equipped kitchen, air conditioning, central heating, wi-fi Internet connection and international TV.